Ewan McGregor on directing American Pastoral, Lord Lloyd Webber on adapting School of Rock for the stage, Sir Elton John's photographs and Goldsmiths Prize winner Mike McCormack. 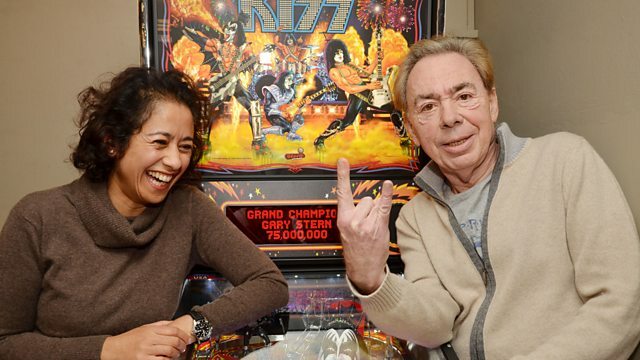 Lord Lloyd Webber discusses joining forces with Downton creator Julian Fellowes and a cast of 39 children for his new stage adaptation of the Jack Black film School of Rock. He tells Samira how he hopes the production will serve as a reminder of how important the arts are in education. Actor Ewan McGregor talks about adapting Philip Roth's Pulitzer Prize-winning novel, American Pastoral, in his directorial debut and why he's returning to the role of Renton, 20 years on from Trainspotting. Elton John owns one of the best photography collections in the world and now he's loaned some of them to the Tate Modern in London. The Radical Eye: Modernist Photography includes Man Ray's Glass Tears, Dorothea Lange's Migrant Mother and Edward Weston's portrait of Igor Stravinsky. Newell Harbin, Sir Elton John's curator, shows us around. The Goldsmiths Prize was established three years ago to recognise fiction that breaks the mould or opens up new possibilities for the novel. Previous winners have included Eimear McBride's A Girl is a Half-Formed Thing and Ali Smith's How to be Both. We talk to this year's winner Mike McCormack about his book Solar Bone. School of Rock is at the New London Theatre, London, and is initially booking until 12 February 2017. The Radical Eye: Modernist Photography from the Sir Elton John Collection is at Tate Modern , London, from 10 November 2016 - 07 May 2017. Image: Mike McCormack, whose book Solar Bones won the Goldsmiths Prize 2016. American Pastoral, directed by Ewan McGregor, certificate 15, is in UK cinemas from 11 November 2016.